Wanaka has something for everyone. From fabulous ski-fields, walking tracks and mountain bike trails, to fishing, boating, or simply enjoying lunch and sampling world class pinot noir from one of the numerous wineries. Wanaka has a growing events calendar which includes arts and music festivals, annual rodeo, winter carnival, motor sport hill climb and international air show – all which make Wanaka a truly year round destination! 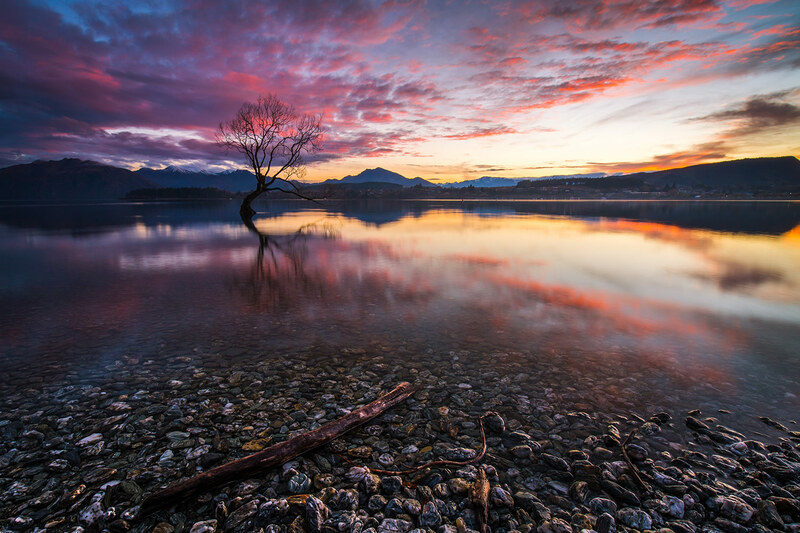 Wanaka sits on the eastern edge of the Southern Alps and has been attracting tourists since the mid 1850’s. The town is positioned at the southern end of New Zealand’s 4th largest lake and looks west towards the spectacular alpine scenery. Something to please everyone, from the adrenaline seeker to those simply wishing to relax and unwind amongst some of the most spectacular scenery the country has to offer. and main lakefront of Wanaka.